Celeste Update — $18,000+ Almost Half Way! 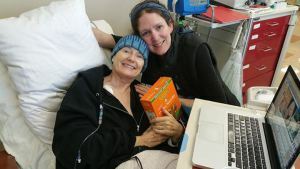 Celeste and her dear friend Laura Eisenhower at Chemo this past Saturday. 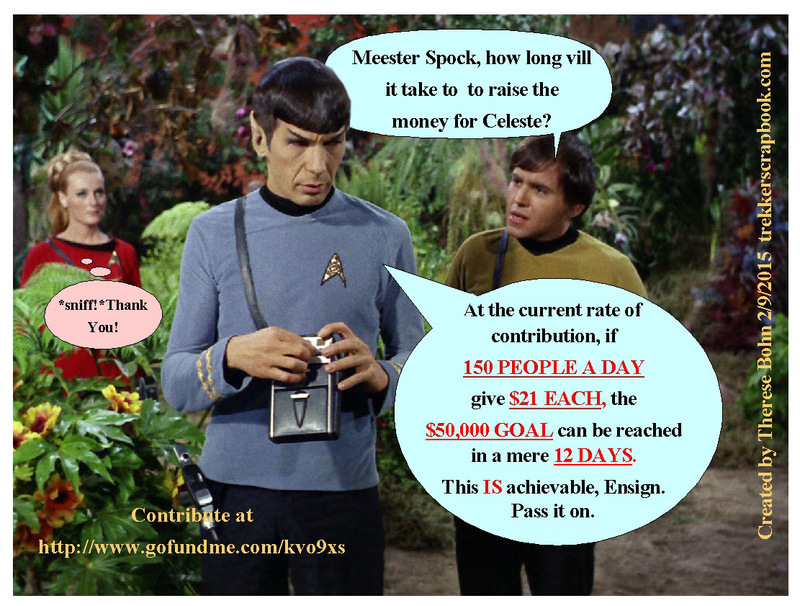 This Week’s Celeste Yarnall Update — the fund is now at $18,007, and every single subscriber and Facebook follower here contributed contributed only $30each, we could reach the $50,000 goal TODAY! Celeste had a rough weekend with a long 10 hour round of chemotherapy, and the side effects are awful, but she is so thankful for all who are helping her through this incredible trek with love, support, prayers, and donations. We’re going to make it, Celeste! Love You! 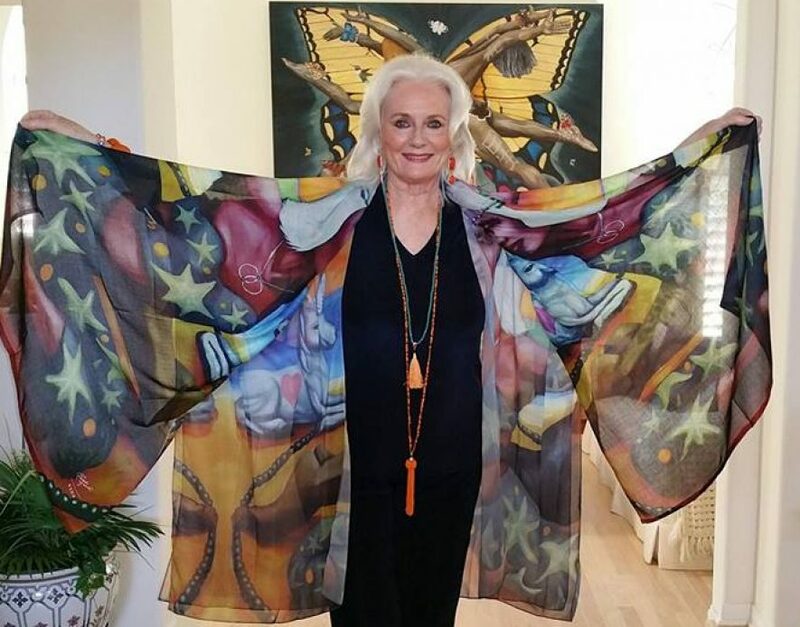 Celeste Yarnall Update 2/16 — A Rough Week-But We All Can Help! Right after returning from the Conscious Life Expo I caught a terrible cold/bronchitis bug which is quite a set back as I have had to yet again postpone my chemo for this week and of course the bills just keep coming in which adds to the stress level but I know with all of your love and continued support I can overcome all the challenges that have come my way lately and rise like the phoenix again. 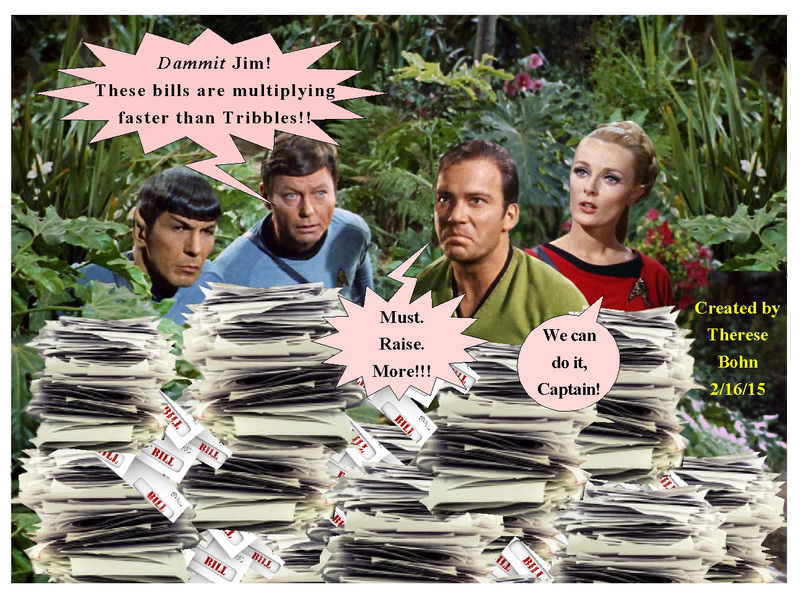 Celeste Yarnall (Yeoman Martha Landon ~ The Apple ~ Update 2/9/2015 — Bit by Bit, an Achievable Goal! Celeste Update 2/2/15 – A Good Start! Here’s this week’s update for Celeste Yanall’s cancer fund. As of this writing, the fund has received $9,701, $6,000 of which achieved the first goal of having enough money to bank some of her tumor for future therapy. It’s a good start, but alas, it is only about 1/20th of the full amount needed ($50,00). Please consider donating any amount you can to help Celeste on this difficult journey– She is so thankful and appreciative of all of her fans who are helping, and for all your prayers and support! We’re here for you Celeste! You can read more about Celeste and donate here.